In these trying times, we just want to replace our entire wardrobe with graphic feminist tees that celebrate women and wear them every day. Sometimes it’s just easier to wear mantras on our literal sleeves and let everyone know where we stand politically. Tees like “We Should All Be Feminists” and “The Future Is Female” are all good and great, but when we saw Gomez’s bright and whimsical new graphic tee we knew we had to have it. 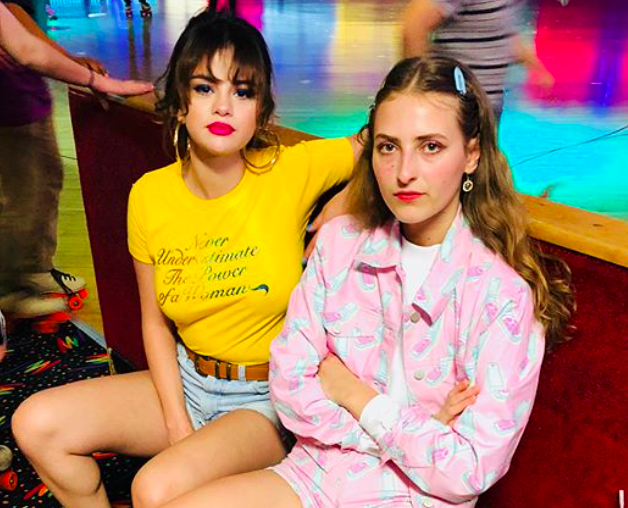 Gomez went rollerskating Wednesday night, March 27th, 2018, in Los Angeles with her friend Anna Collins, but we’re all about the feminist messaging on her outfit. The shirt says, “Never Underestimate The Power of a Woman,” and damn right you shouldn’t. Feminist graphic tees may be “trendy” at the moment, but the meaning behind the shirts are timeless and necessary. Since we can’t track down Gomez’s exact yellow shirt, we did find a few similar shirts that you might have to snag. Here’s Gomez’s take on the iconic feminist mantra. We also love this “Choose Empathy” shirt Gomez was spotted wearing the other day. There is no better time than now to make your political message known.